Electric car maker Tesla Inc. says it delivered a record 25,000 vehicles in the first quarter, up 69 percent from the same period last year. Tesla said Sunday that it delivered about 13,450 Model S cars and about 11,550 Model X SUVs. Tesla says another 4,650 vehicles were being transported to customers at the end of the quarter and will be included in second-quarter deliveries. Production in the first quarter totaled 25,418 vehicles, also a record, Tesla said. Tesla posted its first profit in three years in the third quarter of 2016, but it followed that with a $121 million loss in the fourth quarter. Analysts expect another loss for the first quarter. Sunday's report indicates Tesla is on track to hit its forecast of 47,000 to 50,000 deliveries in the first half of 2017. 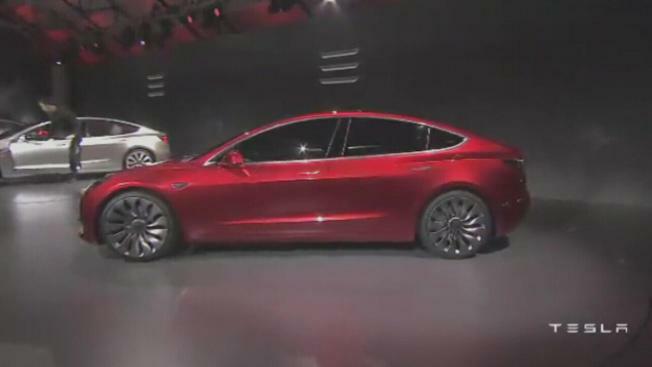 CEO Elon Musk said recently that the Palo Alto-based company will produce 5,000 cars a week later this year after production begins in July on the new Model 3. At $35,000, the Model 3 will cost about half as much as the lowest-price Model S. It will also be simpler and easier to make, with more automation during production. Analysts say the Model 3, possibly along with other new vehicles including a small SUV, could significantly increase Tesla's sales volumes. Expectations for the Model 3 have helped drive Tesla shares up by 30 percent since the start of the year.